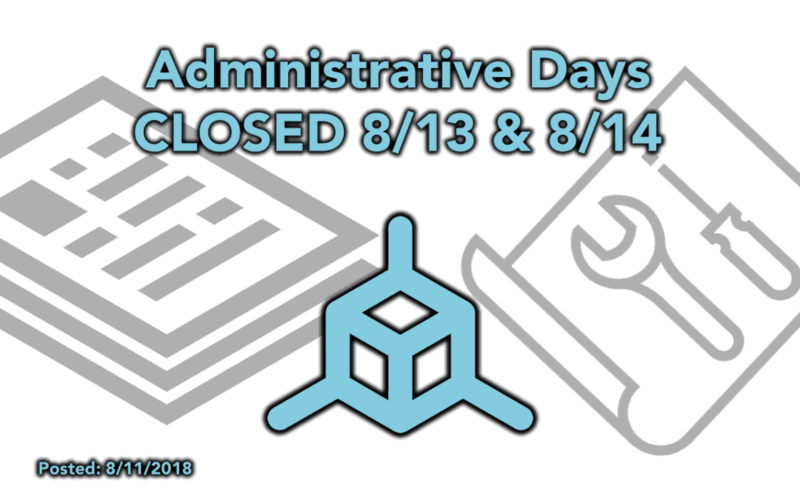 We are taking some administrative days to get our offices re-organized, paperwork completed, and in house machines repaired/upgraded. Orders will require 2-3 more days processing time as our machines that make product and casings for products will be offline for a day or two as we re-organize. We also have a new testing firmware up on the site that should address the random endstop homing issues on U1.R2.T3. The one to try is U1.R2.T4. Make sure to report all bugs to the #beta-testing channel on our Discord server. That is where we are tracking issues. Anywhere else will get missed. Thank you for your patience and sorry about the delay.